The KEEN-sponsored “Below The Surface” project works to educate people about rivers and their importance to life as we know it in the United States and beyond. 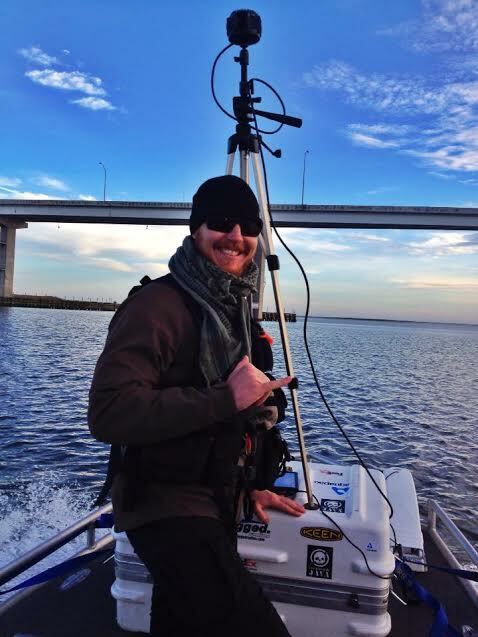 Founded in 2008 by surfers who were tired of getting sick from dirty waters, the group set a goal to trace and document water and pollution upstream to its source. Today, Below The Surface is involved in online as well as expedition-based initiatives, including the Riverview Project, which uses a special multi-lens camera mounted on a canoe to gather 360-degree imagery similar to Google Street View on rivers (see #17 below). 1) You Drink Rivers — In the U.S., 65% of municipal drinking water comes from rivers and streams. The majority of people in America drink river water every day. 2) Rivers Are Rare — In the scheme of things, river water is remarkably uncommon. Rivers comprise only about 0.0002% of the total water on Earth, making their tremendous role in industry, transportation, hydration, recreation, and irrigation even more impressive. 3) Rivers Are Rare ‘Usable Water’ — Barely any water on Earth is drinkable. Freshwater is but a small fraction — about 2.5% — of the total water on the planet, and rivers make up a tiny (but highly drinkable) portion of it. 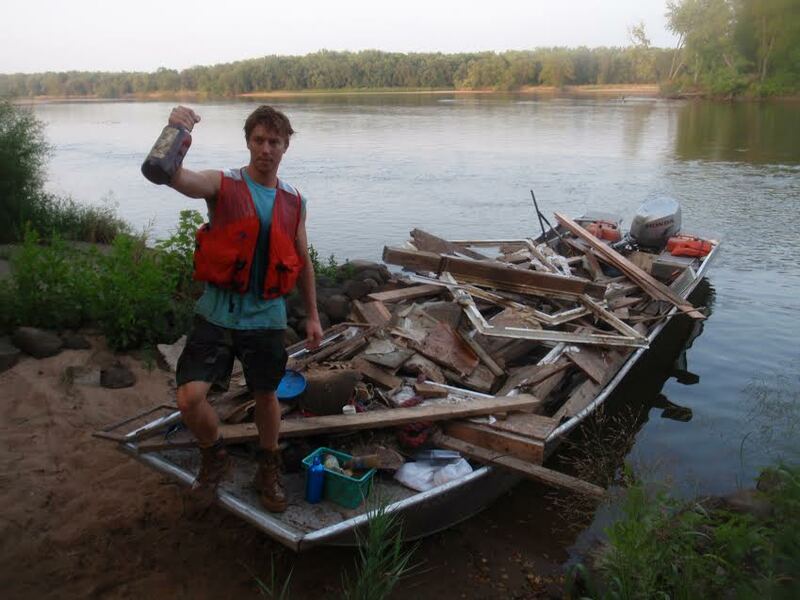 4) You ‘Own’ American Rivers — Rivers that are physically navigable by canoe, kayak, and raft are in the public domain. Access to rivers may be over private land, so you need to find a public access point. But once floating you’re free to paddle and enjoy. 5) Some Rivers Don’t Wander — The Chattahoochee River is one of the oldest and most stable river channels within the United States. It is essentially “locked” in place because it follows a fault line and cannot easily meander or change course. 6) Dammed Rivers Power Cities — Hydroelectric power provides unfathomable megawatts to the U.S. electric grid annually, enough to power 96 million homes. 7) Yet Old Dams Are Coming Down — Groups like KEEN-supported American Whitewater work to remove inefficient dams to restore whitewater flows and encourage natural environments. A new film, “DamNation,” co-written by Yvon Chouinard, explores the controversy of dam removal in current culture. 8) Millions Of Paddlers — More people paddle in the U.S. than live in New York state (or about 24 million paddlers total, according to the Outdoor Industry Association). 9) Montezuma’s Revenge — There are an estimated 5,500 illnesses annually in the United States caused by exposure to contaminated water during recreation. Purify before you drink outdoors. 10) A Drop In The Mississippi — It takes about three months for a theoretical drop of water to travel from northern Minnesota at the river’s source 2,300 miles to the Gulf of Mexico. 11) 50 Cities ‘Drink The Mississippi’ — Dozens of major cities in the United States depend on the Mississippi River for municipal drinking water, which totals 15 million to 18 million people according to the EPA. 12) It Took An Act Of Congress — The Clean Water Act, an environmental success story, was passed in 1972 to restore and maintain the physical and biological integrity of the nation’s waters. It called for “fishable and swimmable” waters by 1983. 13) But… There Are Still Dirty Rivers — According to the EPA, tens of thousands of sewer overflows take place each year in American rivers. Yuk. Agricultural and industrial run-off remain major issues in many parts of the country. 14) Advocates Fight To Change That — Groups like Gustavson’s “Below The Surface” are working hard to preserve rivers and water. Using tools as diverse as social media, rafting expeditions, and water monitoring programs, the group hopes to educate and reduce wasteful use of water and curb pollution. 15) Reservoir Issues — Scientists estimate that Lake Mead, America’s largest man-made reservoir and a cache of the Colorado River, stands a 50% chance of being dry by 2021. Climate change and water policies, among other issues, are the cause. 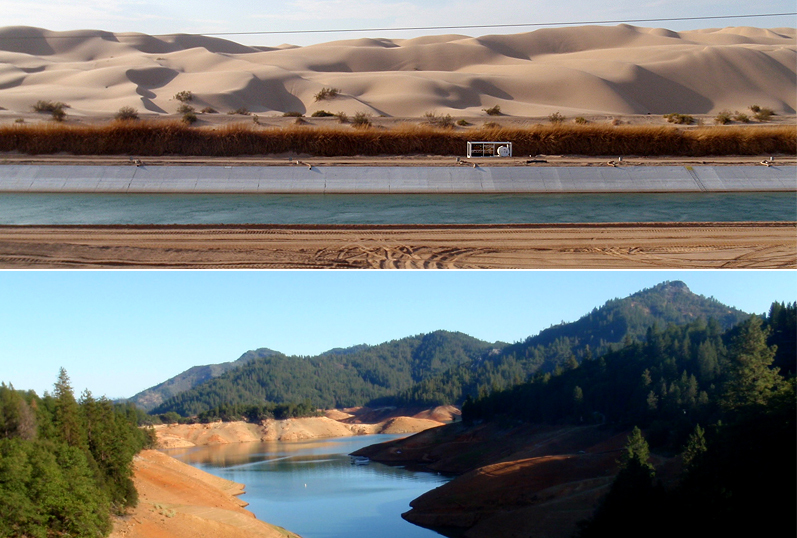 16) Rivers Need You — Using less water in daily life isn’t that hard, and even small efforts make a difference. Own a house? How about removing some lawn to make space for water-saving landscape? Run the washing machine or dishwasher only with full loads. Turn off the tap while brushing your teeth, it can save more than 200 gallons each month that otherwise goes down the drain. 17) Google ‘Street View’ For Rivers — The Riverview Project, created by the Below The Surface group, is working to visually document and map America’s rivers. 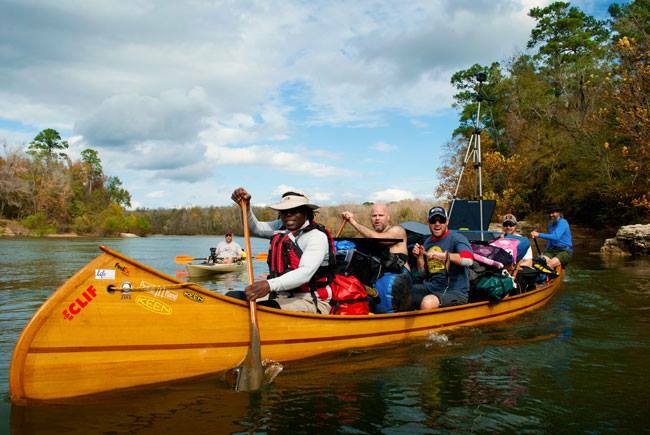 A canoe equipped with a multi-lens camera captures 360 degrees of imagery for hundreds of miles as the crew paddles and floats downstream. —Connect with Below The Surface on the organization’s main page. 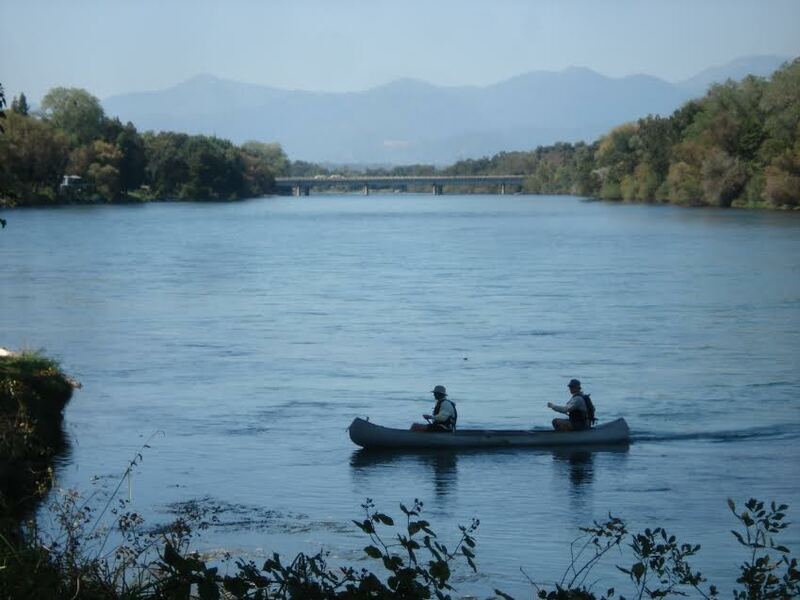 Next week, launching on May 29, you can follow the group via a four-part video series funded by KEEN that documents an expedition on the Sacramento River. Monitor Facebook, Twitter and the KEEN blog for updates on the series launch.